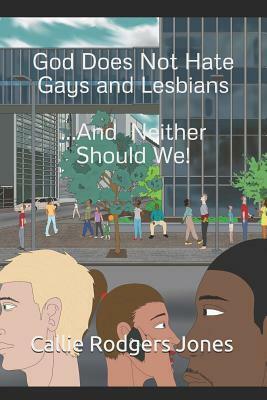 God Does Not Hate Gays and Lesbians : ...and Neither Should We! Together the church and society can make a difference. Understanding God's purpose and His plan can bring about a new dawning. His will is for everyone to be shown love by His children. That is how we can defuse Satan's purpose. The purpose of this book is not to debate the issue, but to bring about change, healing, understanding, and love through the Word of God. In these pages, there are explanations as to why many have committed suicide or hidden from people because they do not believe they could ever be loved. The pain can be stopped and healing can come. But it takes the individual to accept where they are in life and to decide within themselves that "this does not have to be me or my way of life."